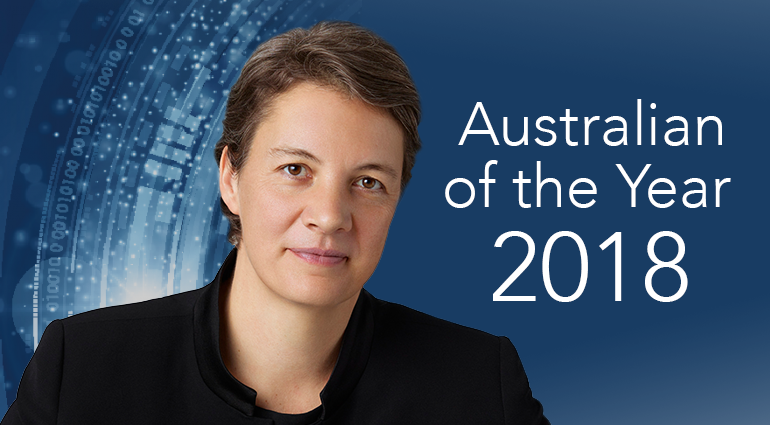 When Professor Michelle Simmons was made Australian of the Year in 2018, she spoke about the importance of not being defined by other people’s expectations of you. She said, “Don’t live your life according to what other people think. Go out there and do what you really want to do.” She is passionate about encouraging girls to pursue a career in science and technology. “Seeing women in leadership roles and competing internationally is important. It gives them the sense that anything is possible,” she said. Professor Simmons leads a team at the University of NSW developing a silicon quantum computer able to solve complex problems in minutes rather than thousands of years. Their work has the potential to drive seismic shifts in drug design, weather forecasting, self-driving cars and artificial intelligence. Quantum theory is the theoretical basis of modern physics that explains the nature and behavior of matter and energy on the atomic and subatomic level. That level is sometimes referred to as quantum physics and quantum mechanics. A computer using qubits can store an enormous amount of information and uses less energy doing so than a classical computer. By entering into this quantum area of computing where the traditional laws of physics no longer apply, we will be able to create processors that are significantly faster (a million or more times) than the ones we use today. Sounds fantastic, but the challenge is that quantum computing is also incredibly complex. What we do know is that it will be game-changing for every industry and will have a huge impact in the way we do business, invent new medicine and materials, safeguard our data, explore space, and predict weather events and climate change. It’s no coincidence that some of the world’s most influential companies such as IBM and Google and the world’s governments are investing in quantum computing technology. They are expecting quantum computing to change our world because it will allow us to solve problems and experience efficiencies that aren’t possible today. Take a look at the video below to meet Michelle Simmons and be inspired by the inside story of how she and her team are breaking society-changing new ground with their pioneering work.